With gold prices at an all time high I have gone back to my metalsmithing roots. I decided to make a few pieces out of sterling silver combined with18k gold. Pendant on a long chain is an agitized fossil coral cabochon set in silver. Accent stones are garnets from Mali set in 18k gold. 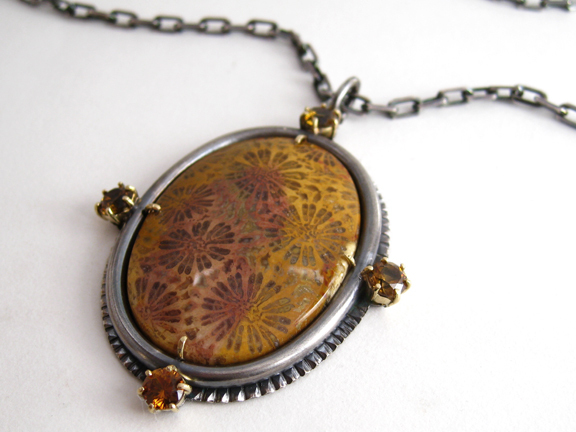 Interest in Natural history is evident in Victorian era jewelry. I designed this piece to be reminiscent of that period. 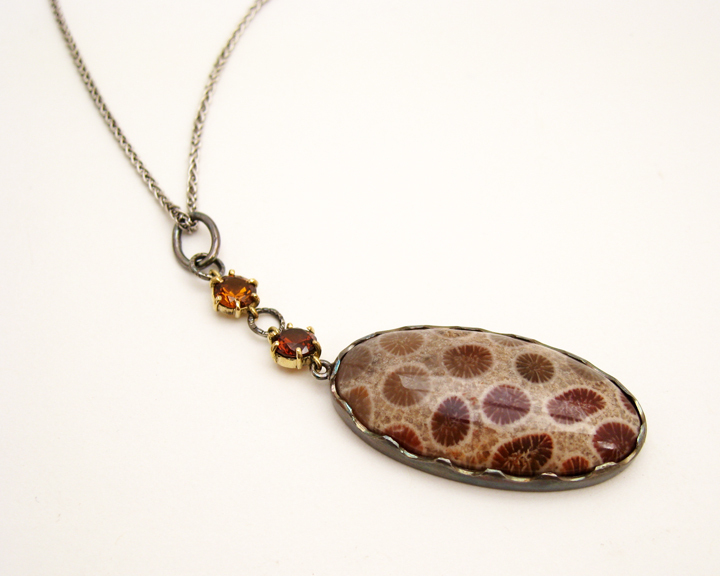 Long pendant of fossil coral is set in a fabricated sterling silver setting. Two Mali garnets, cognac and deep rusty brown accentuate the range of colors.